BLOW OUT SALE!!! 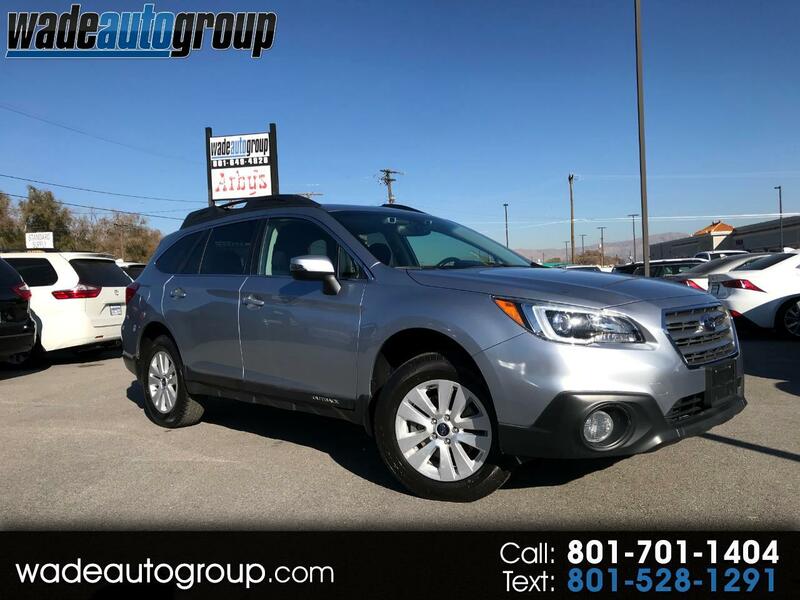 EYESIGHT ..2015 SUBARU OUTBACK 2.5I PREMIUM AWD, Silver w/ Black Interior, EYE SIGHT, 41k Miles, Back-up Camera, Sunroof, Bluetooth Connection, Cross Traffic Alert, Heated Front Seats, Multi-Zone A/C, Power Seat, Smart Device Integration, Auxiliary Audio Input, Heated Mirrors, keyless Entry, Luggage Rack, Power Mirrors, Steering Wheel Audio Control. Here at Wade Auto Group we sell quality vehicles at low prices. This car has a CLEAN TITLE. Call now or visit us at www.wadeautogroup.com WADE AUTO GROUP 12277 South 700 West Draper UT 84020 ''You've got it made with WADE'' WE BUY TRADES.....Extended Warranties available, call for more informatioN. Visit Wade Auto Group online at www.wadeautogroup.com to see more pictures of this vehicle or call us at 801-701-1404 today to schedule your test drive. Message: Thought you might be interested in this 2015 Subaru Outback.